JULY 23 UPDATE: Interview with Seth Kursman on The Greatest Threat to the Boreal is Misinformation. JULY 22 UPDATE: Read Peter Foster’s article on this subject published on July 22 in The Financial Post: At last, a Canadian corporate hero. 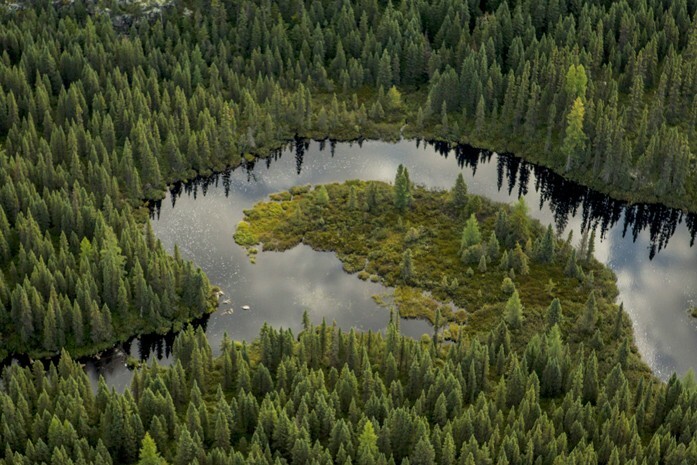 There is a threat to the boreal forest in Canada. It’s more dangerous than fire or insect infestation, and it’s more destructive to local communities, First Nations and workers than economic downturns or changing market conditions. The greatest threat to the Boreal is misinformation promulgated by some environmental activists who don’t believe in inclusiveness and don’t respect the views and interests of those who live and work in the Boreal every day. The idea behind the CBFA was that all parties would come together in the spirit of honest and open collaboration in order to resolve longstanding differences regarding sustainable forest management in the boreal forest. Companies agreed to make concessions – as Resolute did – and environmental groups (ENGOs) agreed to suspend market campaigns against the companies. Of course, the reality has been quite different. ForestEthics has been campaigning against Resolute for years – even while pretending to be an abiding member of the CBFA. Their most recent letter, with its inaccurate allegations and threats and intimidation, is not new; it is merely a continuation of the bully tactics they have used with Resolute from the start. The fact is that Mr. Paglia is not upset with Resolute’s sustainability record or forest management practices; he is upset because we refused to be scared by his threats and cave-in to his demands. Mr. Paglia has written letters to customers, organized conference calls to urge them not to buy product from Resolute, conducted media interviews where he attacked Resolute, and targeted large buyers directly and indirectly. His organization, along with Greenpeace and other like-minded activists, has been involved in an active misinformation campaign against Resolute for more than two years, resulting in loss of sales and loss of jobs for workers in Northern Ontario and Quebec. We have not, and will not, stand by while this campaign of misinformation and deception continues to harm the livelihoods of the men and women who call the Boreal their home. And we are exceedingly proud that Resolute does not stand alone. In fact, despite the best efforts of people like Mr. Paglia who have tried to isolate us, Resolute has received overwhelming support from local communities, mayors, unions and First Nations partners, as well as provincial and federal governments. Over the past several months alone, First Nations and unions have challenged the misinformation campaign against us. The provincial governments of Quebec and Ontario have been traveling the world meeting with customers to set the record straight. Several weeks ago, a large contingency of mayors from northern communities in Ontario and Quebec held a press conference in Ottawa, expressing outrage at the continued misrepresentations of the on-the-ground reality by activist groups like ForestEthics and Greenpeace. Also, over the past few months, well over 500 municipalities in Quebec and Ontario have either passed their own resolutions or signed on to municipal association resolutions condemning the misinformed attacks. This overwhelming reaction is more than a show of support for Resolute; it is an outright rejection of the notion that groups like ForestEthics and Greenpeace can speak for the local communities, workers, First Nations and governments in the boreal forest. These are the real people most affected by the threats and intimidation campaigns and they deserve a voice in the process. For the past several years, Resolute has been arguing strongly that a broad range of stakeholders must be part of any workable solutions going forward in the Boreal. Since the breakdown of CBFA discussions in Ontario and Quebec, Resolute has remained steadfast in our support and willingness to re-engage in conversations, but have insisted that we fully involve the key regional stakeholders – the very people who work and live in the region. Unfortunately, ForestEthics and Greenpeace clearly discount the critical importance and standing of local stakeholders and government. They have not engaged in a constructive conversation with the stakeholders who are most impacted by the decisions they want to make for them. And they have not presented options or solutions that could practically be implemented without causing harm to thousands of peoples’ lives. Equity and fairness require the participation of local stakeholders and government, and success will elude us without it. The people of the Boreal have a voice; they are not second-class parties in determining their own future. Long-term, durable solutions can only come from including everyone in these conversations as full, active participants in the process. Resolute is committed to making this happen, with or without ForestEthics’ participation. It’s about time someone stood up to the bullies in the “green” movement. Their efforts over the past decades have greatly hampered progress in the name of environmental protection. What they have in reality accomplished is to restrict what could otherwise be a good life for others. This includes destroying livelihoods for hundreds of thousands of honest men and women trying to support their families and build nations that are conducive to individual development. They have imposed restrictions on recreation areas that are quite capable of hosting large numbers of visitors and the enjoyment of our beautiful world’s majestic scenery, all in the name of environmental protection. Their diatribe is so monotonous that it reeks of something foul and disgustingly selfish. They simply want to make a name for themselves and to heck with what others want.